Choose from one of our preventive maintenance solutions or select individual services that best meet your needs. Service is completed in two on-site visits a year. An optional 31-point engine and generator inspection is available on a monthly or quarterly basis, if desired. Comprehensive 61-point engine and generator inspection. Support the reliability of your generator set. Comprehensive fuel testing. Keep your fuel in top condition. 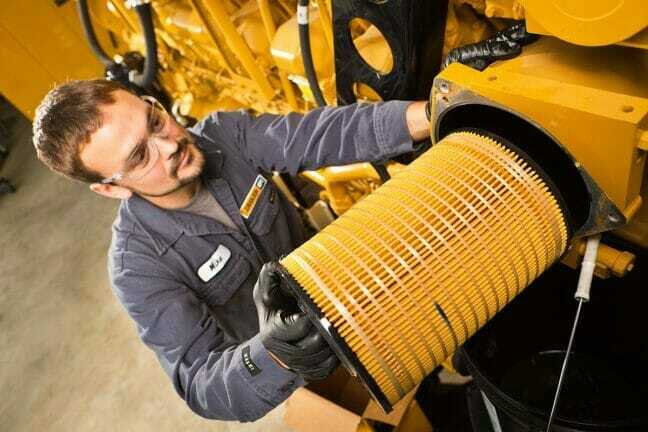 Replacement of engine oil and fuel filters. Prevent loss of engine power and no-start situations. Automatic Transfer Switch (ATS) maintenance and testing. Prepare for a seamless transition from your main and backup power. Load bank testing. Confirm the ability of your generator to produce a given kW and attain proper engine operating temperature. Testing more frequently may be recommended, depending on your equipment application. Megohmmeter testing. Measure the integrity of the epoxy insulation on the electrical windings of your generator. Testing more frequently may be recommended, depending on your equipment application. Engine battery replacement. 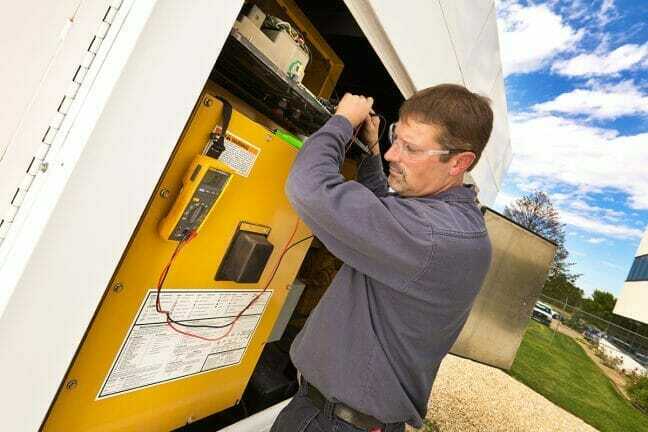 Protect your generator set or fire pump engine from failing to start. Cooling system maintenance and fluid replacement. 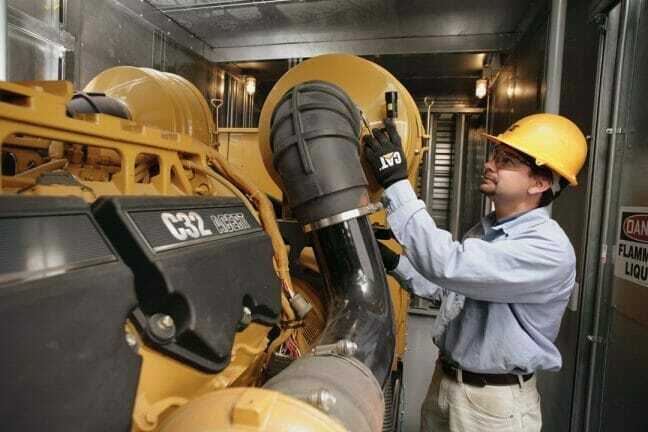 Ensure the proper function of your generator’s cooling system. Full engine and generator inspection and adjustment. Prolong the life of your equipment and ensure it will function as intended. Service is completed in one on-site visit a year. Replacement of engine oil, fuel, and filters. Prevent loss of engine power and no-start situations.